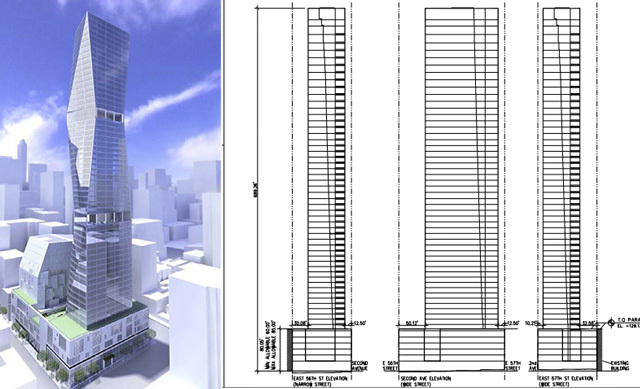 The design for a new tower at 250 East 57th Street has undergone major changes, with most of the interesting elements in previous renderings now missing. New diagrams filed with City Planning indicate that SOM’s initial plans have been discarded. 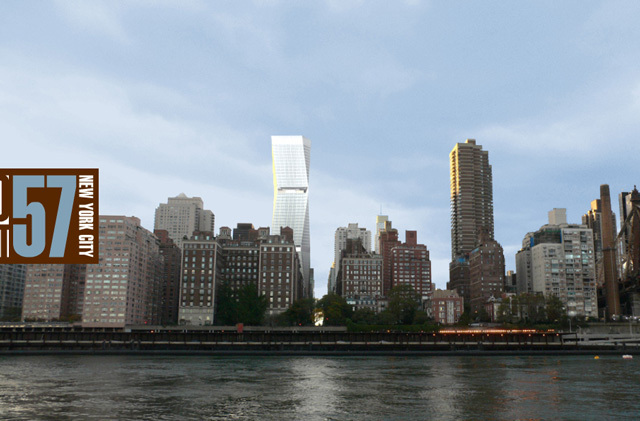 Originally, 250 East 57th Street was supposed to be defined by sharply angled setbacks that moved inwards and outwards on their way to a 715-foot pinnacle; the new version appears to be a relatively mundane box. While the tower won’t be iconic, it will still add to the street-level, with a Whole Foods set to occupy the retail base. The height also remains unchanged. 250 East 57th Street is rising after the school originally on-site was relocated, making way for the new tower. Construction on the new school was completed this year, and now work on the skyscraper can begin. Overall, the building will measure nearly 500,000 square feet, and stand 59 floors, with 268 units in total. Everything above the second floor will be residential, with 25,000 square feet of commercial space spanning the first two levels. SLCE is listed as the new architect, and the developer is the World-Wide Group.